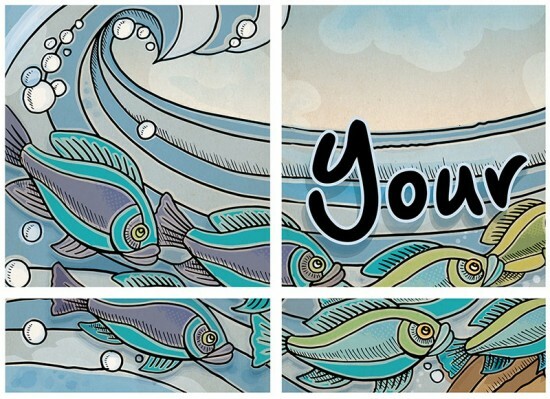 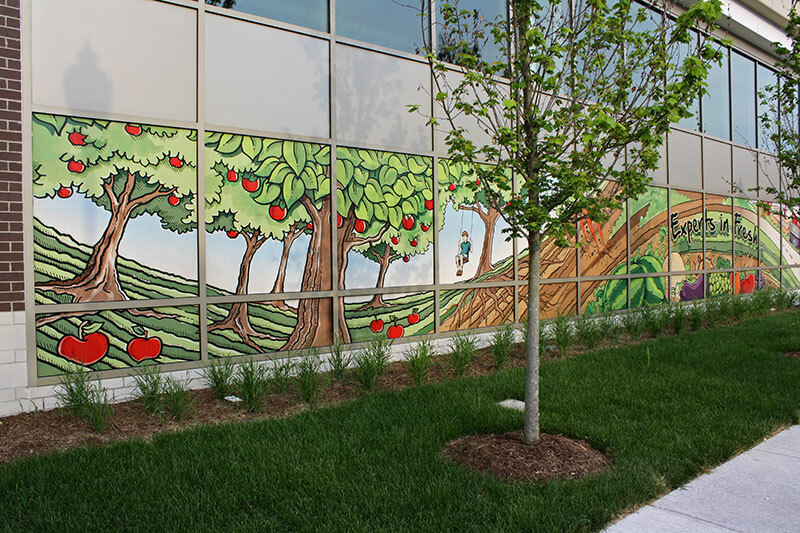 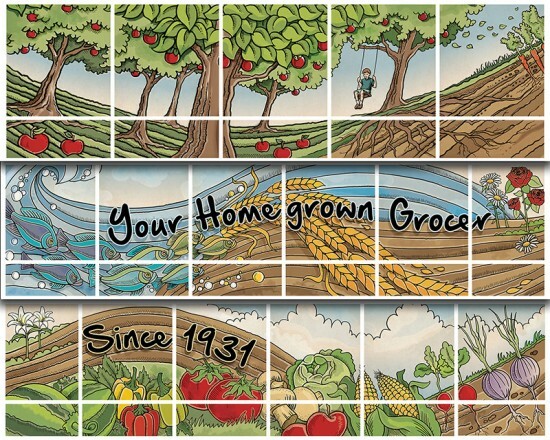 We were called upon to create a hand-drawn approach for a large mural illustration on a downtown Marsh supermarket. 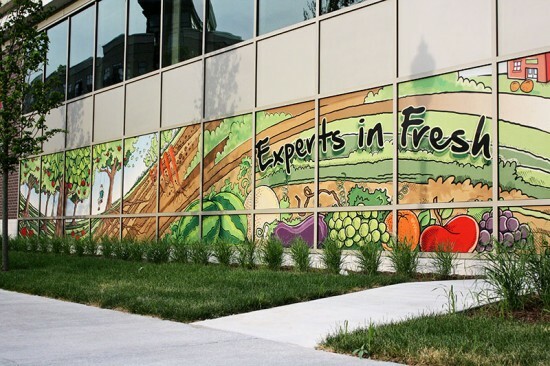 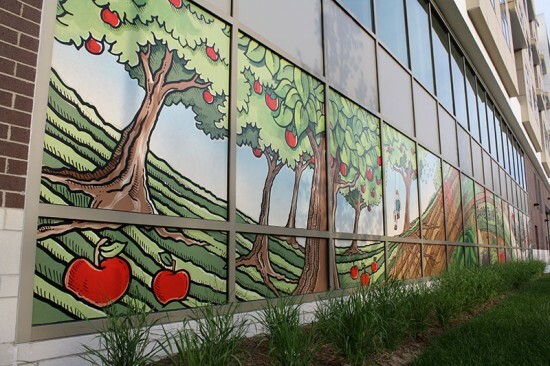 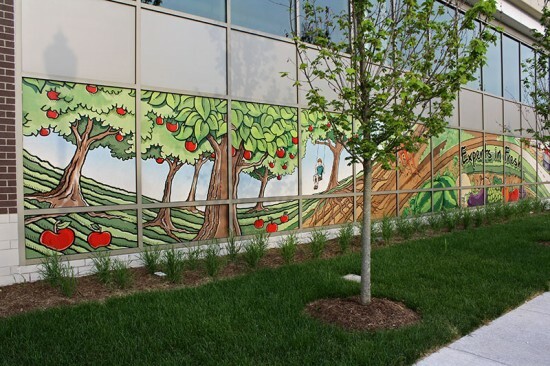 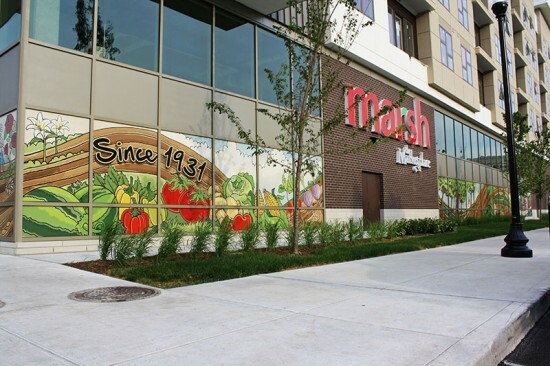 The project was done as a collaboration of Belmont Graphics and Wilkinson Brothers; the former printed the huge panels of view-through film and installed them on the brand new urban grocery store. 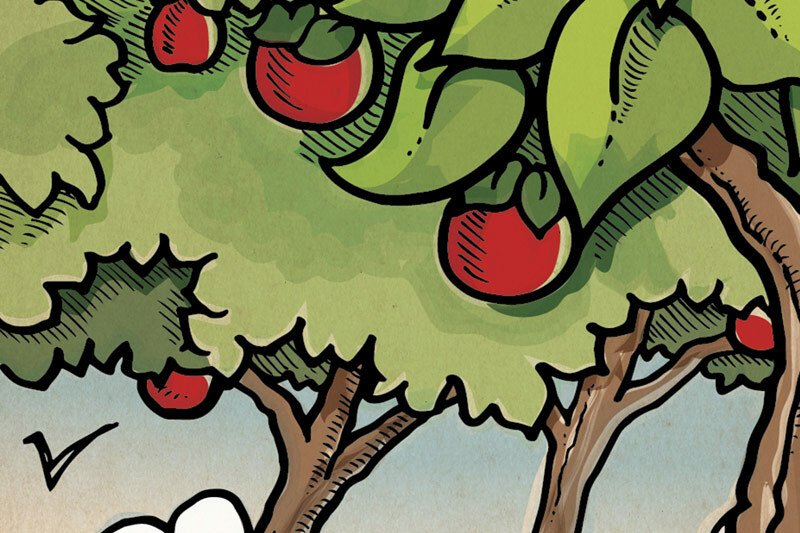 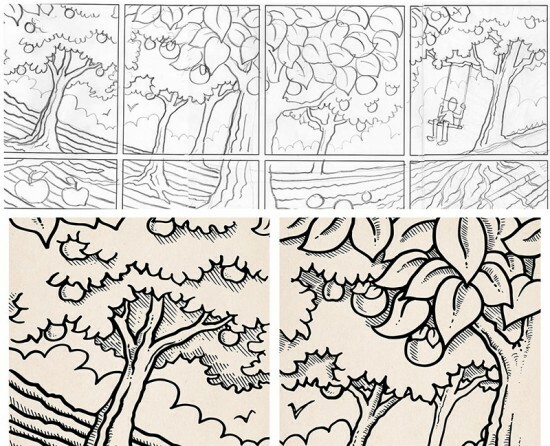 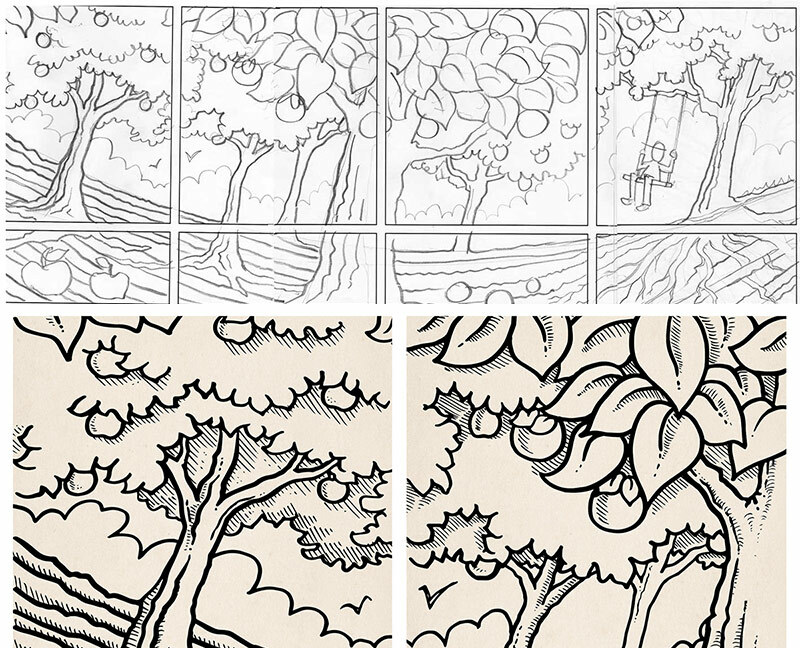 We started with pencil sketches, then inked in a layer of black line art. 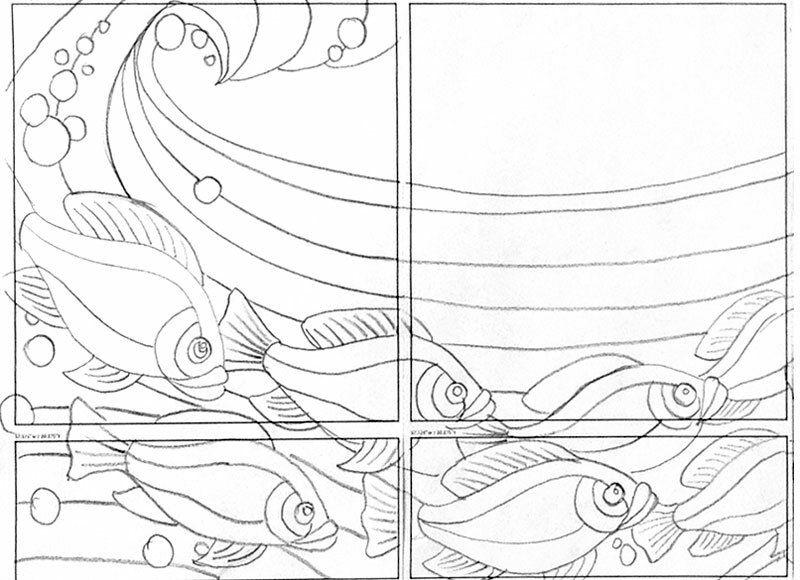 After vectorizing the line art for better scalability, we used Adobe Illustrator to add color that was burned into a brown textured paper. 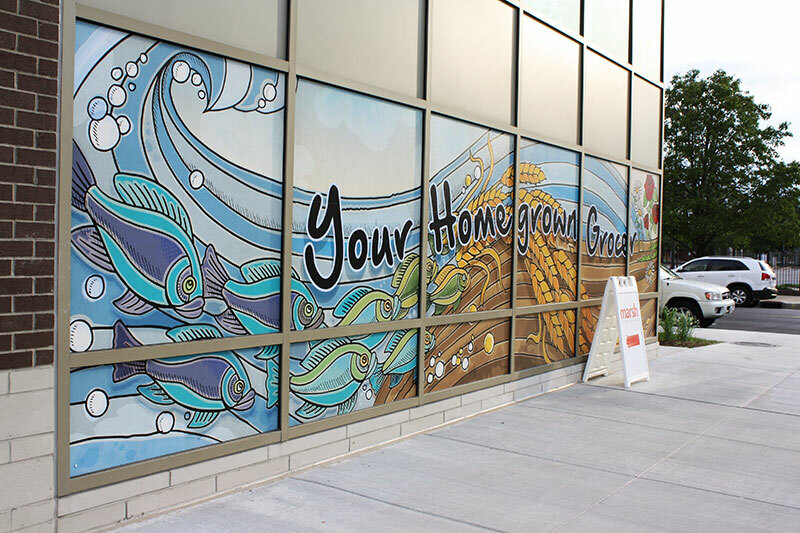 The muted and earthy tones helped create a natural fresh look that supports the market’s organic focus and modern coffee/tea bar amenities.